Amid the culture shock of new places and new faces, a Syrian refugee family meets the Toronto students who helped them find a new home. Watch the National news story here. 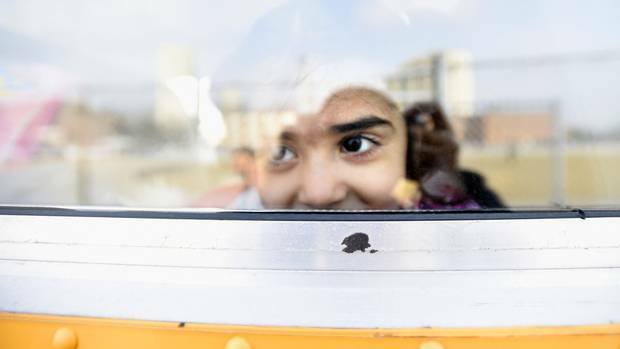 Close to 100 Syrian child refugees, temporarily living at a Toronto hotel, waved goodbye to their parents Monday morning, climbed onto four buses and attended school for the first time in years. They will spend a couple of hours each day attending schools in the northwest corner of the city as part of a joint initiative between the Toronto Catholic District School Board and the Toronto District School Board. 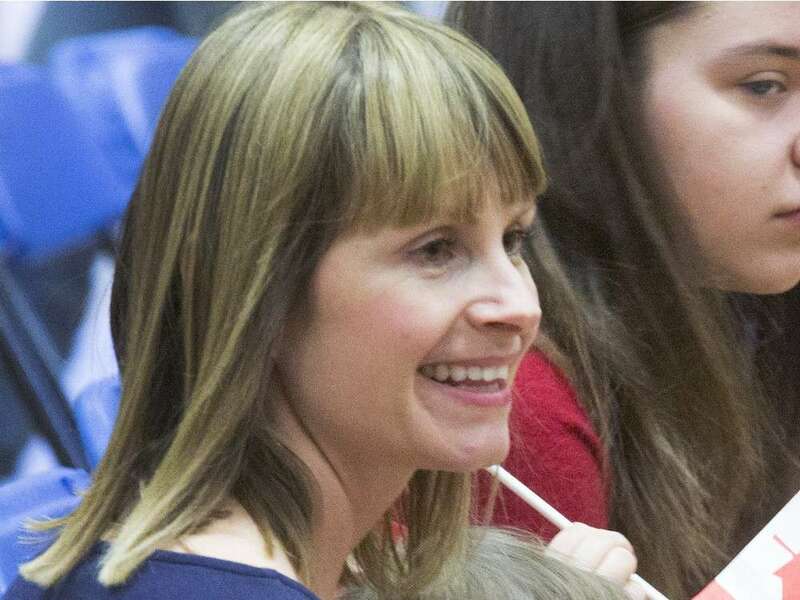 When parent Danielle Schock heard about the 1,000 School Challenge from a friend in Alberta, she thought it would be a great idea for her school to join in. 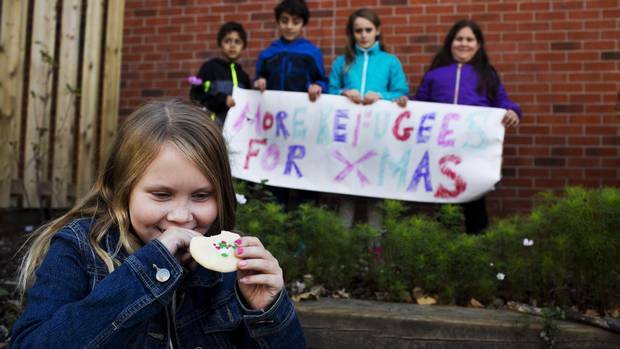 More than 20 Toronto schools taking part in effort to make cards for refugees coming to Canada. 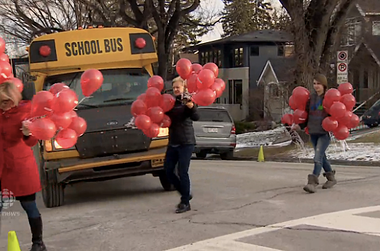 Sunalta School in Calgary kicks off its campaign to sponsor a refugee family in a novel way. Marg Seeger talks about how students were handed red balloons for the kickoff of a campaign to sponsor a Syrian refugee family. 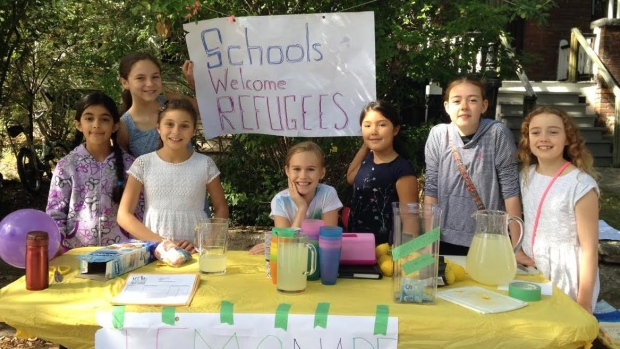 Dubbed the ‘1000 Schools Challenge,’ a group of parent volunteers at Dewson Street Junior Public School in Toronto is calling on other schools to raise money to help bring Syrian refugee families to Canada. Parent volunteers at Dewson Street public school reached out beyond their own community to inform and inspire others. Article in the Globe and Mail. 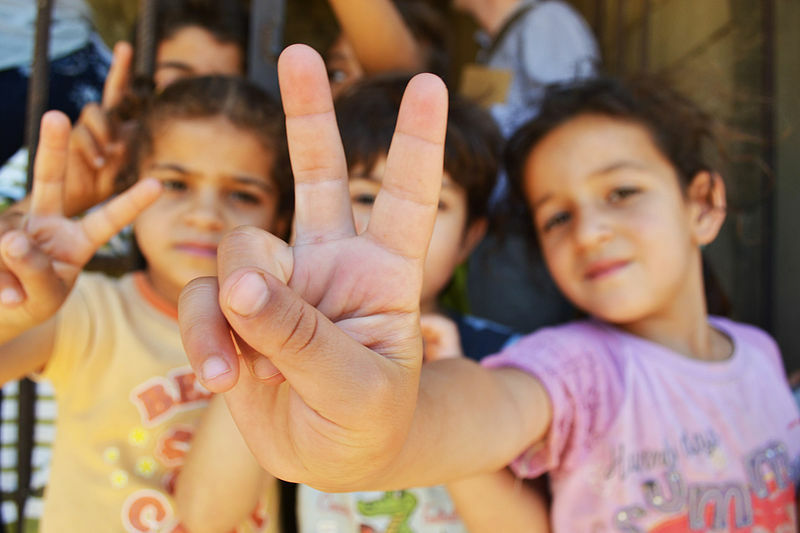 For the thousands of Syrian refugee children headed for Canada’s public schools, the challenge will be more than just learning English and making friends. 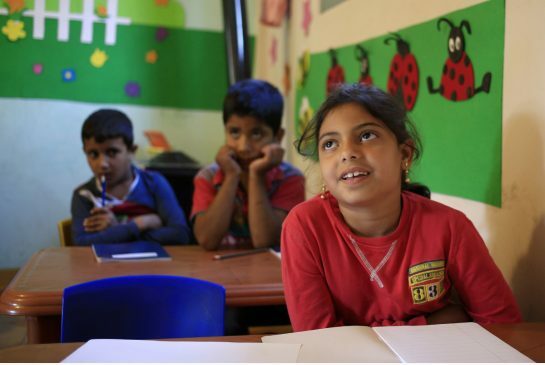 Many will struggle with the concept of school itself, of literacy even in Arabic, of studying in a building that won’t likely be bombed, and feeling safe enough, at last, to think about learning. 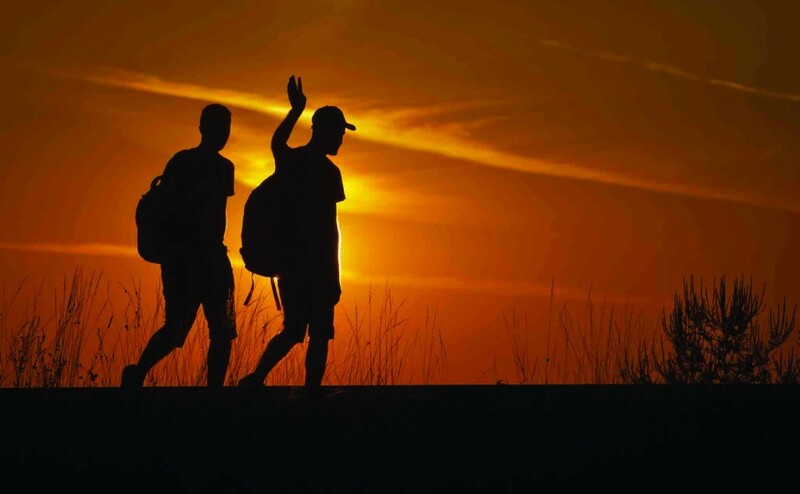 Schools Welcome Refugees and the 1000 School Challenge are featured on Metro Morning. Listen to Kelly Gallagher-Mackay talk about our initiative and read about it here. 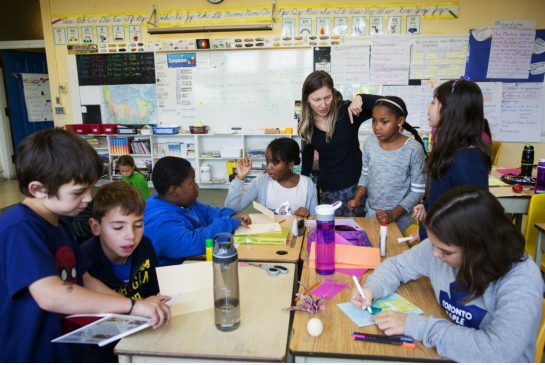 1000 Schools Challenge is featured in Brock University’s student paper. 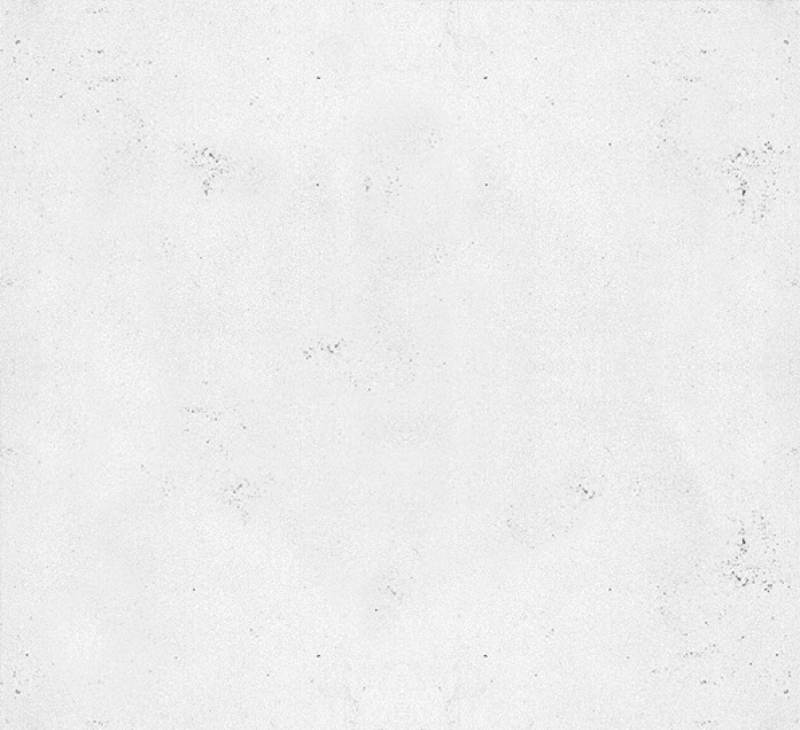 Take a look at it here.